Bouhdid Belhedi is a LGBTI defender working on the defence of sexual minorities in Tunisia and against homophobia. He is a member of the Executive Bureau of Shams, a non governmental organisation which works for lesbian, gay, bisexual, trans and intersex rights. The association campaigns for the decriminalization of homosexuality in Tunisia and encourages values of tolerance and acceptance of the LGBTI community. 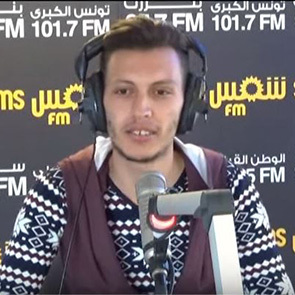 On 29 August 2016 at approximately 10:00 a.m., an unknown man stopped the human rights defender near the Majestic hotel in central Tunis, telling him that he recognised his face and beating him by punching him in the head, ribs, stomach and kicking his body while on the ground. The attacker repeated homophobic phrases and insults while beating the human rights defender. According to Belhedi, a police officer who was located nearby did not interfere to protect him or arrest the attacker. The assault resulted in several bruises on the human rights defender's neck. I am deeply concerned about the incidents of physical violence and incitement to violence against the LGBTI community in Tunisia and LGBTI defenders and strongly urges the Tunisian authorities to investigate these incidents and effectively assist victims of homophobic violence to seek justice and remedy. 3. Abolish Article 230 of the Penal Code which criminalises homosexuality.